We love exploring Ireland. If you are thinking of a short break from Manchester then you cannot beat the Emerald Isle. In a few short weeks we will be in Glorious Galway on the west coast of Ireland. Galway has something for everyone’s. 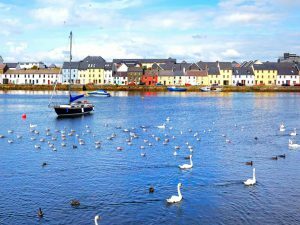 If you are wondering where the craic is then just take a look at the reasons to take a break in Galway. Traditional Pubs, Music and Dancing. Galway’s got one of the liveliest pub scenes in Ireland. Step inside the warm wooden nooks and crannies of Tigh Neachtain’s on Cross Street and you’ll happily lose hours listening to traditional irish music whilst sipping a glass of whisky or guinness. Other great spots in the city include Murphy’s and Garavan’s. We will be sniffing out the liveliest spots across the City. Truly enjoy the Craic as talented dancers use the bar as their stage as the fiddlers play a lively tune. Galway is a foodie heaven. The food scene includes incredible cafés, bistros, traditional pubs and fine-dining restaurants that are kicking the culinary ball right out of the park. The markets give us ample opportunity to sample some homemade delights and haggle for a bargain. We are fortunate to be based within a few minutes walk of some great restaurants. We fancy the traditional fayre and music at McSwiggans, as well as trying the Oysters and Seafood Platter in Galway Brasserie on The Corner. Have you ever dreamed of eating at a Michelin Starred restaurant? Now is your chance to check it off your bucket list! The award winning Loam is a stone’s throw from our hotel. Who would have envisaged a beach holiday in Ireland! We can stroll along the 2km-long sandy promenade at Salthill, and watch the brave (or stupid!) dive from the harbour. Tradition dictates that you should “kick the wall” at the end of the promenade for good luck. If you don’t fancy that, then why not just grab some fish and chips, sit on the beach and watch the light change over the Atlantic. The wild beauty of Connemara is just a short journey away, so we can stretch our legs as we discover the castles, beaches and rugged coastline of Connemara. The Connemara horizon is dominated by more than fifty magnificent mountains in four tightly packed ranges, the Twelve Bens, Maum Turks, Partry and Sheffrey. There are various walking routes for all levels of fitness that lead to some hidden gems. 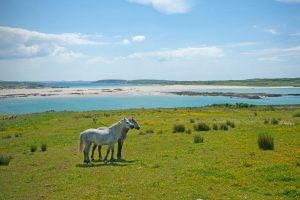 Of course, no one can talk about Connemara without mentioning the free roaming ponies. Horse lovers can ride out in the moorland – even if you have never ridden before. Find out more about these beautiful animals at one of the many studs dotted around Connemara. Breathtaking Beauty in a Day. 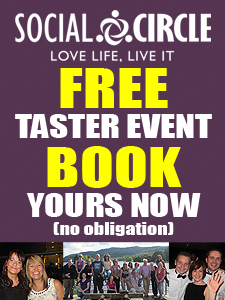 Fancy a day trip? 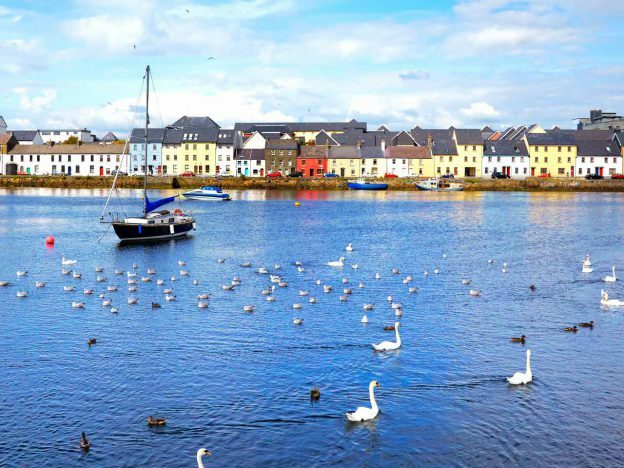 Galway has some of Ireland’s most exciting attractions right on its doorstep. 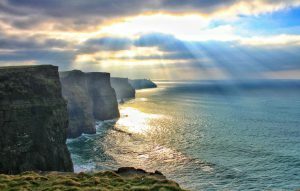 We’re talking the Cliffs of Moher, the Burren, the Aran Islands and the wild beauty of Connemara. We fancy this trip to the colourful village of Doolin where you can cruise to the Aran Isles, pick up a sweater, and marvel at the Cliffs of Moher on the boat home. 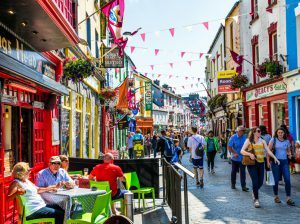 Why not join us in Galway? We are jetting off to Galway from Manchester on Friday 5th April 2019 . 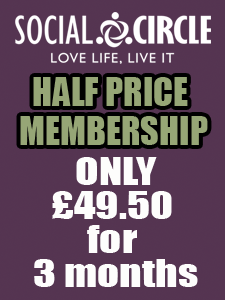 Why not come and join us? 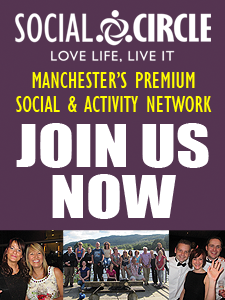 Social Circle offers Manchester-based professionals the opportunity to meet new people, try new activities and enjoy short breaks in the UK and abroad. There are no hidden costs and our weekends away are hassle-free.